Certainly in the 1950s it was an entirely different story, as the river was declared biologically dead due to the high levels of pollution. However, thanks to a lot of work by many organisations and individuals, the Thames of today is very different. Over 100 species of fish have been found to live in the river and estuary, including the critically endangered European eel. In fact, the Thames is an incredibly important breeding and spawning site for many species such as flounder and sea bass, which support commercial fisheries out in the estuary and the North Sea. Furthermore, two species of seal call the estuary their home, the harbour and grey seal. These animals not only breed in the outer Estuary, but often venture up the tidal stretch of the river to feed; a pattern shared by the small and shy harbour porpoise, Europe’s smallest whale, which can often be seen alone or in groups feeding along the shores London, Essex and Kent. And the conservation story doesn’t end there. The Thames is an incredibly important wilderness for many Londoners who live, work and play on or around it, as documented by the hundreds of people who give up their time to volunteer as citizen scientists every year. These keen members of the public help ZSL and other local organisations to study the Thames environment. By working together we have been able to learn more about the habitats, wildlife and water quality of the Thames and tributaries through London, highlighting problems to statutory agencies, developers and companies who can minimise or change the threats facing the river so that the Thames can continue to get cleaner and an even better habitat for our wildlife. However, we’re not quite out of the woods yet. There are still dirty outfalls, pollution events, damaging developments and plastic flowing within the Thames’ ecosystem. ZSL, in partnership with many organisations, is working hard along the Thames, conducting projects ranging from removing barriers to eel migration and monitoring outfalls in her freshwater tributaries, to working with companies and the government to make London a single-use plastic water bottle free city, to studying juvenile fish movements and monitoring seal populations in the tidal Estuary. Our aim is a future where the wildlife of the Thames is more abundant and secure as a result of improved water quality, restoration of migratory pathways, the identification and protection of critical habitats and greater connection with people. So yes, the Thames is a muddy river, but it is our muddy river, full of wildlife and people working hard to make sure it remains that way and gets even better. If there was ever a story of Conservation Optimism, I think the Thames would be it. Come and learn more about the research and conservation projects happening on the Thames on 11th July at ‘State of the Thames’. 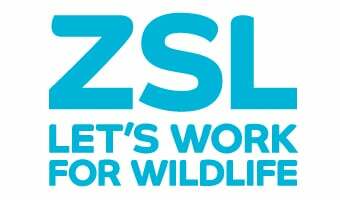 This is a free ZSL event with three speakers who will share their experiences of working on the river and estuary, chaired by Richard Aylard of Thames Water, one of the most significant stakeholders in the health of the river.